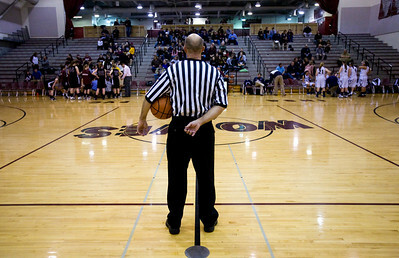 Jenny Kane - jkane@shawmedia.com A referee watches Cary Grove play Prairie Ridge's during the regional IHSA Class 4A championship game at Prairie Ridge high school. 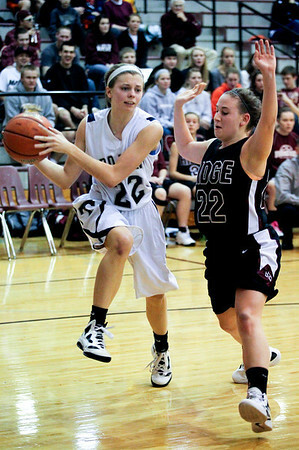 Cary Grove defeated Prairie Ridge 34-25. Jenny Kane - jkane@shawmedia.com Cary Grove's head coach Rod Saffert talks to his team after the third period of their game against Prairie Ridge. Jenny Kane - jkane@shawmedia.com Cary Grove's team walks off the court after defeating Prairie Ridge during the regional IHSA Class 4A championship game at Prairie Ridge high school. Jenny Kane - jkane@shawmedia.com A referee watches as Cary Grove and Prairie Ridge take a break in-between the first and second period of the regional IHSA Class 4A championship game at Prairie Ridge high school. 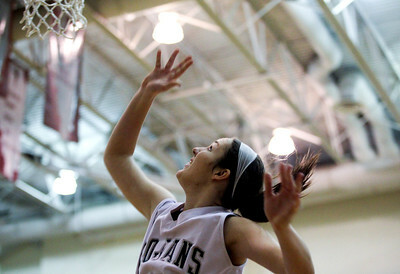 Cary Grove defeated Prairie Ridge 34-25. 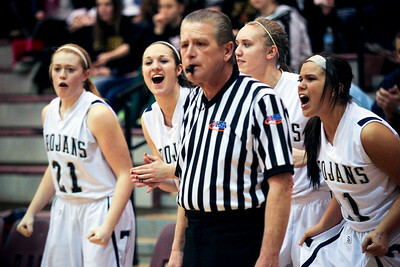 Jenny Kane - jkane@shawmedia.com Cary Grove's bench cheers during the fourth period of their game against Prairie Ridge. 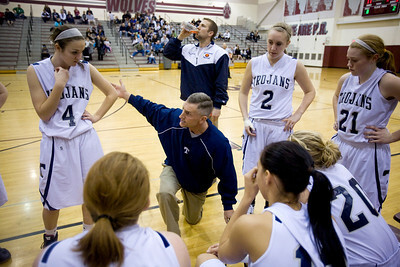 Cary Grove defeated Prairie Ridge 34-25. 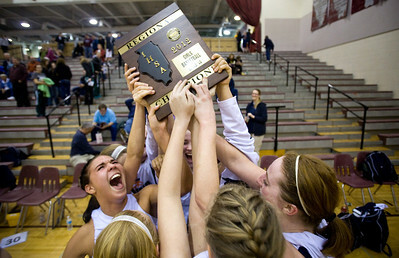 Jenny Kane - jkane@shawmedia.com Cary Grove's Joslyn Nicholson, (left) celebrates with her team after winning the IHSA Class 4A regional tournament at Prairie Ridge high school. Jenny Kane - jkane@shawmedia.com Cary Grove's Olivia Jakubicek tries to hold on to the ball as she is fouled by a Prairie Ridge defender during the regional IHSA Class 4A championship game at Prairie Ridge high school. Jenny Kane - jkane@shawmedia.com Cary Grove's Joslyn Nicholson defends against Prairie Ridge's Brianne Fenton during the regional IHSA Class 4A championship game at Prairie Ridge high school. 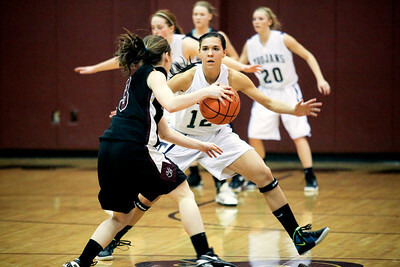 Cary Grove defeated Prairie Ridge 34-25. 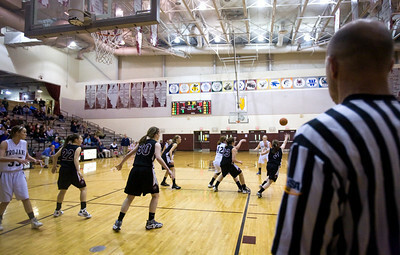 Jenny Kane - jkane@shawmedia.com Cary Grove's Olivia Jakubicek makes her second free throw after being fouled by a Prairie Ridge defender during the regional IHSA Class 4A championship game at Prairie Ridge high school. 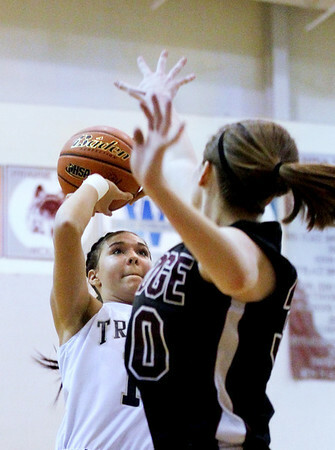 Jenny Kane - jkane@shawmedia.com Cary Grove's Joslyn Nicholson attempts a shot while being gaurded by Prairie Ridge's Kelsey Bear during the regional IHSA Class 4A championship game at Prairie Ridge high school. 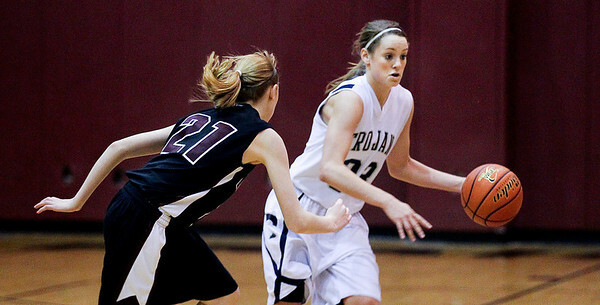 Cary Grove defeated Prairie Ridge 34-25. 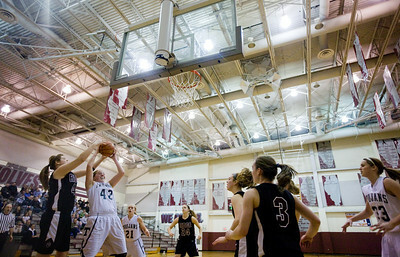 Jenny Kane - jkane@shawmedia.com Cary Grove's Abby Glaysher watches her lay-up go into the net during their game against Prairie Ridge. Jenny Kane - jkane@shawmedia.com Cary Grove's Joslyn Nicholson blocks Prairie Ridge's Haleigh Danek shot during the regional IHSA Class 4A championship game at Prairie Ridge high school. 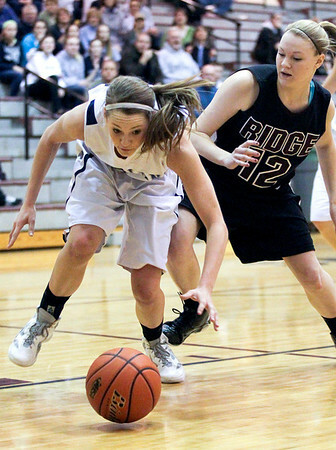 Cary Grove defeated Prairie Ridge 34-25. 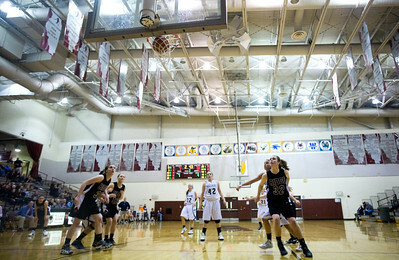 Jenny Kane - jkane@shawmedia.com Cary Grove's Alyssa Lee attempts a lay-up while being gaurded by Prairie Ridge's Marisa Gerstbrein during the regional IHSA Class 4A championship game at Prairie Ridge high school. 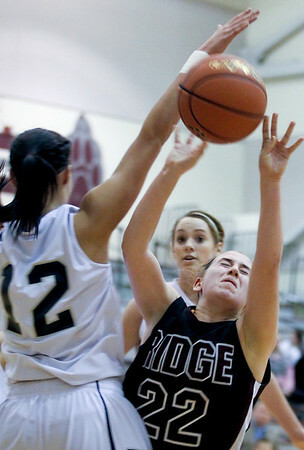 Cary Grove defeated Prairie Ridge 34-25. 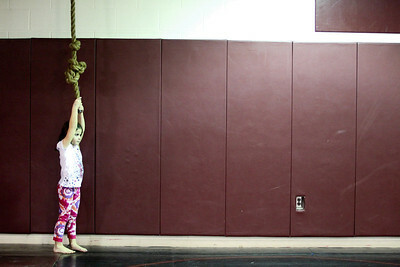 Jenny Kane - jkane@shawmedia.com Emily Larry, 5, of Cary, plays on a rope hanging above the wrestling mats at Prairie Ridge high school during the half time of Cary Grove's game against Prairie Ridge for the regional IHSA Class 4A title. 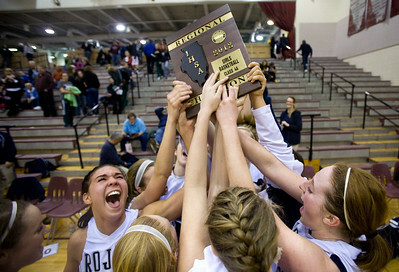 Jenny Kane - jkane@shawmedia.com Cary Grove's Joslyn Nicholson, (left) and Olivia Jakubicek, (right) celebrate with their team after winning the regional IHSA Class 4A regional tournament at Prairie Ridge high school. Jenny Kane - jkane@shawmedia.com Cary Grove's Paige Lincicum dives for the ball as Prairie Ridge's Amanda Hoyland tries to defend during the regional IHSA Class 4A championship game at Prairie Ridge high school. Cary Grove defeated Prairie Ridge 34-25. Jenny Kane - jkane@shawmedia.com Cary Grove's Paige Lincicum tries to take the ball to the net while being gaurded by Prairie Ridge's Kelly Klendworth during the regional IHSA Class 4A championship game at Prairie Ridge high school. Cary Grove defeated Prairie Ridge 34-25. Jenny Kane - jkane@shawmedia.com Cary Grove's Megan Leisten attempts to pass while being gaurded by Prairie Ridge's Haleigh Danek during the regional IHSA Class 4A championship game at Prairie Ridge high school. 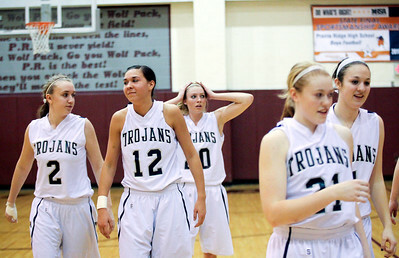 Cary Grove defeated Prairie Ridge 34-25. Cary Grove's team walks off the court after defeating Prairie Ridge during the regional IHSA Class 4A championship game at Prairie Ridge high school.